Click here if you want to be notified as soon as we get this product in stock again. 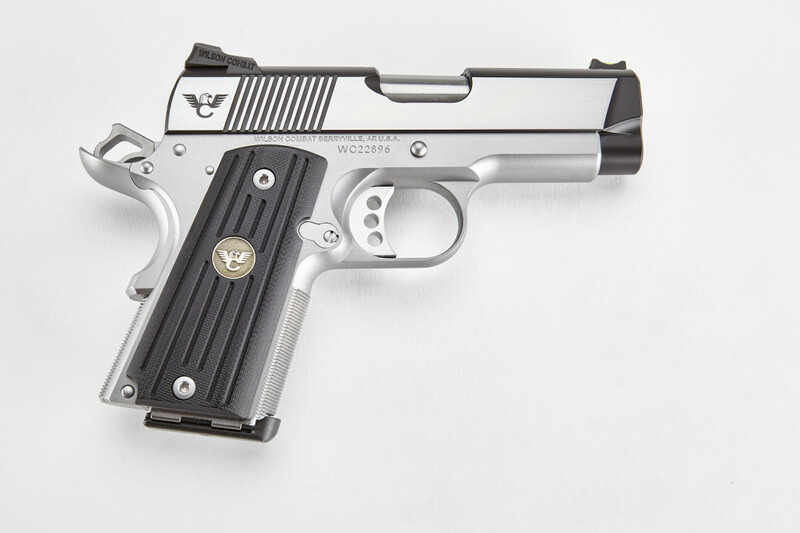 One of the things you can be absolutely sure of with a Wilson CombatÂ® firearm is reliability. 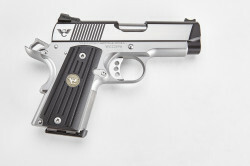 Our SentinelÂ® model was developed to provide maximum concealability with our reliability guarantee. The result is a precisely engineered 9mm with a scant 7.25â€ overall length and weighing only 32 ounces fully loaded and ready to work. We developed a 3.6â€, bull barrel for the SentinelÂ®, with a tapered cone shape to concentrate as much weight as possible towards the muzzle, and coupled with a full-length guide rod. The SentinelÂ® incorporates cocking serrations on the rear of the slide, and carry cuts at the front of the slide. NOTE: All serialized items must be shipped to a Federal Firearms License (FFL) dealer. One of our customer satisfaction representatives will contact you to arrange shipment of your serialized item.